I went to the Decoration and Design trade fair today and this is one of my personal picks of the day. 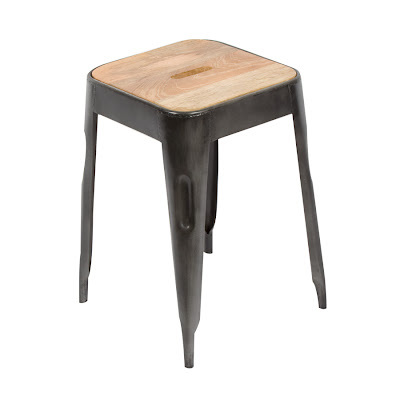 This stool from d-Bodhi also comes in a bar stool and is just gorgeous in real life. The top is reclaimed teak - you can read d-Bodhi's old wood story here - and the contrast to the Tolix-esque metal base works beautifully. I had a perch on the bar stool for a few minutes between stands and found it very comfortable indeed.